Kei is in the process of getting a new airport which will take jets, so all this may change (and we'll be offering day trips to Kuta). If you're trying to make travel arrangements for the Indonesian leg of your journey from overseas there's a helpful travel agent in Ambon that we've used before: mutiaramalukutravel41@gmail.com - but if doing Air Asia Kuala Lumpur - Ujung it seems to be cheaper to book from abroad. Pelni seems to be down to one boat every 10 days for Tual – Banda – Ambon (Tual – Banda : Rp 125,0000 ekonomi, Rp 381,500 second class; Tual – Ambon : Rp 272.000 ekonomi, Rp 470.500 second class ) but there are alternatives – inquire at the harbour master’s office, also for other boats going to Dobo, Fak-Fak and Tanimbar. Theoretically it should be possible to get to Bali by boat. The Pelni head office is on the main street in Tual (Jl.Karel Satsuitubun ) and bookings can also be made at some Travel Agencies. 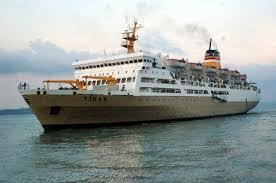 The main ferry to Kei Besar (early morning and, sometimes, mid afternoon) leaves from Watdek – Ohoijang. See ‘trips to the islands’ below. Where is Pasir Panjang…. on your trip from the airport some of you may unfortunately discover that Pasir Panjang is the name of a village with a dodgy karaoke bar at the south end of the beach with same name. Coaster Cottages are also on Pasir Panjang beach but at the north end near Ohoililir village (kampong). Tell your driver that you want to go to Coaster Cottages, Ohoililir. Neither should be confused with Savanah Cottages at Ohoidertahun, delightful though they are (we sometimes arrange twin centre holidays – how sophisticated is that…). Langgur new airport – Ohoililir/Coaster. It is hard but not impossible to get a day time charter from the new airport to Coaster for less than 200,000. Initially, you will almost certainly be asked for a lot more. If you manage to bargain down to 150,000 or less you’re doing very well. Ohoililir/Coaster – Langgur airport. Nyong, a very reliable taxi driver based in Ohoililir, offers to take guests from Coaster to the airport for Rp 220,000, including for the 05.50 flight which means leaving Coaster at 04.00. It should be noted that some guests who have chosen to make their own, different arrangements for this trip to the airport have been disappointed (stranded in Kei) because their own chosen charter has not turned up as promised. we can arrange an airport transfer from the airport to Coaster Cottage by calling our recommended airpot taxi drivers to pick you up at the arrival site, we will put additional charge 10% from the taxi price (total price is Rp 220'000). This is a full day trip requiring an early start. We suggest taking a picnic lunch as there are no rumah makan in the south of the island. The trip includes Kei Kecil’s main attractions. Ohoidertutu beach is particularly dazzling – no reef so when the wind is right it should be possible to surf: be the first on Kei. Cost about Rp 500,000. See Ketty/Bob to book Nyong. 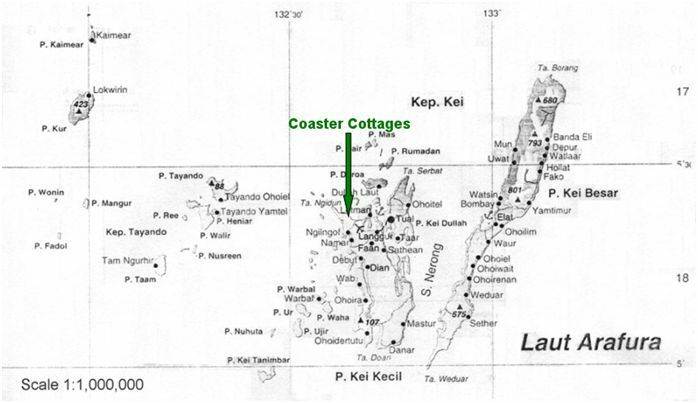 Coaster – Dullah – Coaster. This is a three-four hour trip taking in the distinct muslim villages of Dullah, Kei’s new industrial park (more interesting than it sounds), beaches and inlets and the forest/bush of the east coast. Picnic lunch recommended. Cost about Rp 350,000. See Ketty/Bob to book Nyong. Shopping made easy. Nyong offers a Coaster – Langgur – Tual – Coaster round trip to go from shop to shop or to be dropped off and picked up again at a time/place of your convenience for Rp 200,000. Useful if more than one person wants to go to town. These are very handy if you are on your own. Prices are negotiable but reckon on Rp 35,000 - 50,000 Ohoililir – Langgur. 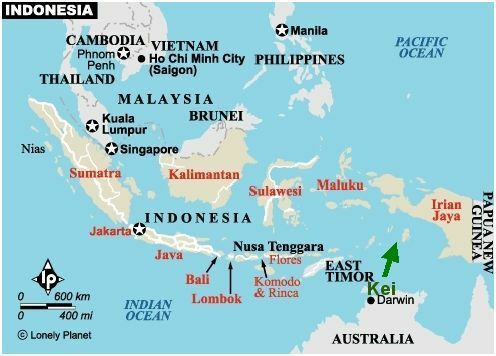 They are also the only way to see many places ‘off the beaten track’, not least the Wap peninsula - the long finger of land which is only just and so joined to the west coast of Kei Kecil, and still in pretty much pristine condition. The trip to Wap involves either a ferry from Debut or crossing a couple of rather dodgy bridges where locals exact Rp 5000 tolls. 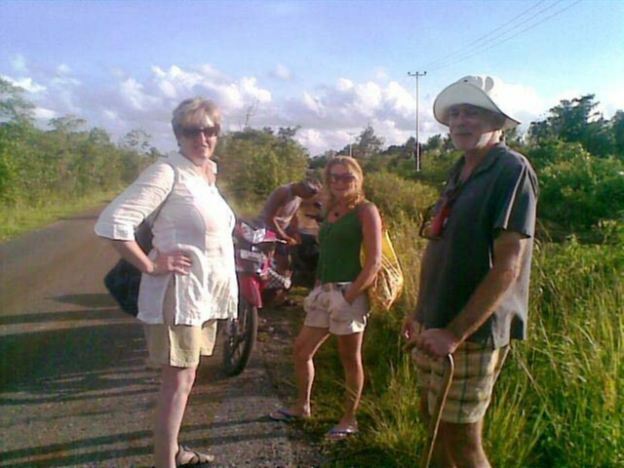 For a trip like this reckon to pay Rp 200,000 - 250.000/person. See Bob/Ketty to arrange. Kei’s roads/traffic are a challenge even for experienced riders - we are not responsible for accidents etc. Also note that bike hire in Kei operates on a ‘you bend it, you mend it’ principle and some quite extortionate claims have been made on guests who have had the misfortune to ding a bike. That being said, if you want to hire ask Ketty/Bob. Price typically Rp75.000 - 100.000 /day. Everywhere but Ohoililir. You can get pretty well anywhere on Kei Kecil / Dullah by Public Bemo very cheaply if you don’t mind returning to Tual / Langgur for different legs of your journey. 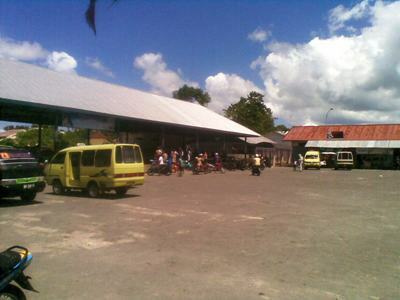 The main bemo terminus (especially for Dullah) is in the main Tual market by the harbour. The one serving the south of Kei Kecil (for Ohoidertutu) is on the outskirts of Langgur, near the Velia hotel, beyond the airport. Tual / Langgur – Ohoililir Rp 10,000.
but don’t bet on that. Any time after 8.00 and you’re likely to have a long wait. When returning from Langgur, wait across the road from Ohoijang market, that is, the opposite side to where you were dropped off. Ohoijang – Tual Rp 4,000. Turn left from on to the main road from the Ohoililir bemo stop at Ohoijang and flag down a bemo going north – they’re very frequent.